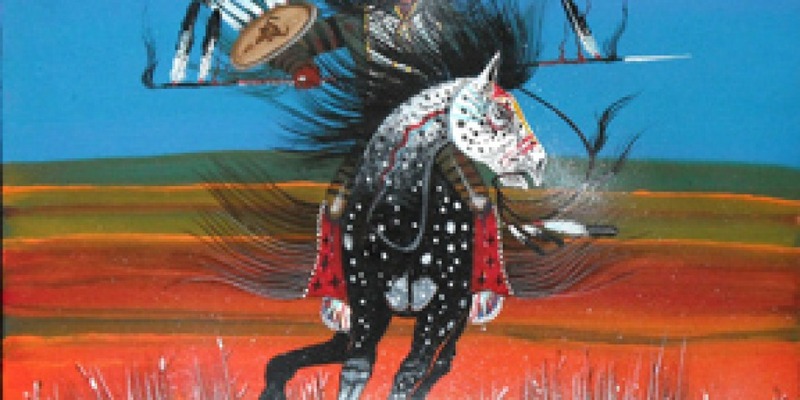 Al Bahe is a talented painter of Navajo tradition. His unassuming presence is punctuated by flashes of inspiration that let you know he has defined his artistic direction. His art and his life are inseparable. His Native American roots, and his experiences growing up in Northern Arizona with his eight siblings all contribute to who he is. Al and his family settled in Shonto, Arizona where he studied at the Indian School and stood out among his peers. 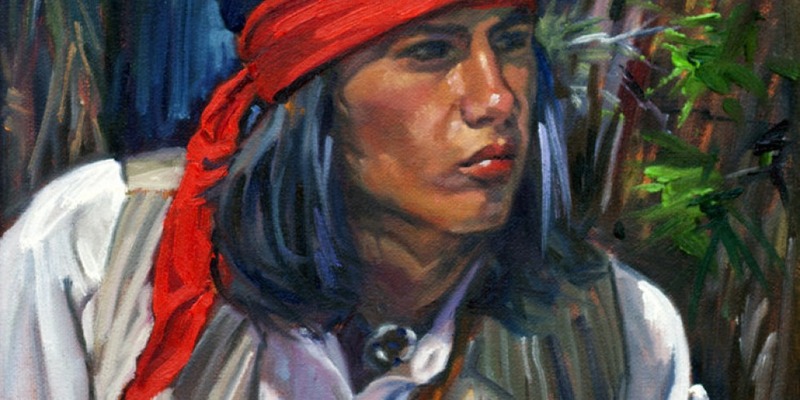 Following his service in the Marines, Al’s talent prompted tribal elders to award him a scholarship while he attended the Art Institute in Santa Fe. His style was already mature, but credentials do help a career. Studies at Northern Arizona University prepared Al even further. Today Al has returned to his roots and paints eight to ten hours a day in his studio in Shonto, Arizona. 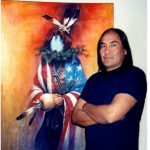 In 2002 his work won Best of Division and Judges’ Choice Award at the prestigious Heard Museum Annual Native American Art Show and Sale. He is a content human being, alone with the land, his family, and his art. His trademark Navajo Yeii figures, often wrapped in blankets, continue to be his first artistic love and his most consistent theme. There is a story behind wrapping the Yeii. Tribal elders consider showing the world exact images of the traditional dress and body paint somewhat sacrilegious. Therefore, the use of the blanket covering sensitive details made the work more palatable to the elders. “Al is one of the most talented Native artists that I have seen to date” says Jeff Tabor, art curator.